This is the best thing I’ve ever bought. Love this item would definitely get it again and would recommit to anyone that wanted to get one in the future it is definitely worth the cost of item. The Shark ION Robot is the perfect solution for everyday upkeep. 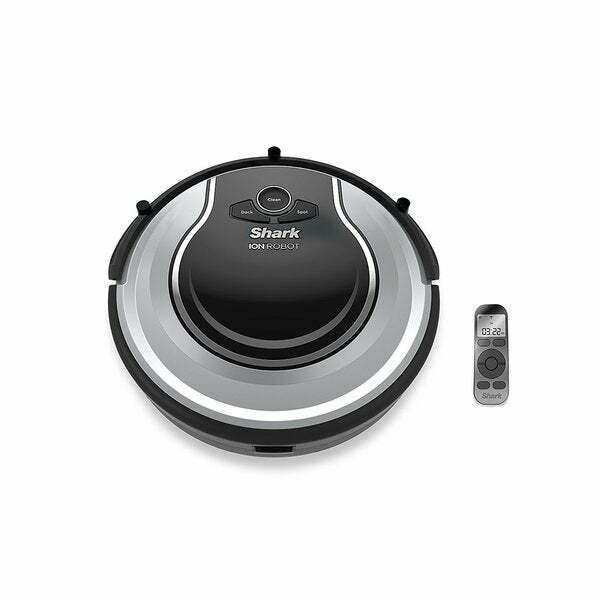 With Smart Sensor Navigation to ensure your robot easily navigates your home and hair detangling technology, vacuuming with a Shark has never been easier. Shark ion robot 720. This vacuum has exceeded my expectations. Life Changing! I love this thing. It picks up all the dust and dog hair and preps my floors for mopping. I get to spend more time with the kids and less time cleaning. 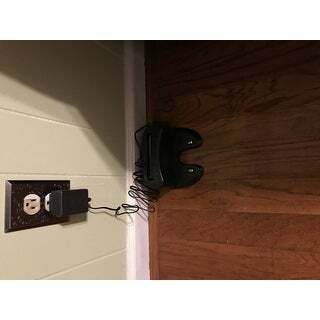 Easily navigates the area rugs and even goes under/through the dining chairs. I would absolutely recommend this product. It picks up more than I expected and then some. It has made my life so much easier. Shark ion robot picks up hair, dust, crumbs, glitter!!!! Love it! I read many reviews on here before purchasing, so hopefully this helps someone. Overall the shark ion robot 720 is okay. It's definitely not great, but it does the job. I've had a few issues with the programmed schedule not activating for random days. It's currently set to clean at 9am on most days of the week; and it will execute the program about 75% of the time. For some reason, other times it just doesn't. Not a huge deal, but annoying. Noise level is acceptable...it's a vaccum. Not ultra quiet but then again I don't run it when we're home. I am amazed at how much it picks up each cleaning...even if runs shortly after a normal vacuuming (dyson animal). We have 2 black labs, so it definitely cuts down on the amount of normal vacuuming we'd do. House is mostly hardwood with some low pile area rugs. Like other suggest...put in the extra time to pick up objects (toys, cords, etc) and the robot has not trouble. The one time it did get stuck was when we missed picking up a fetch toy...robot got half way over it but got stuck. Overall, happy with the purchase. Especially since the higher end roomba's are twice the cost. I'm pleased with this. Not having the wifi option doesn't seem to be a big deal. I am handicapped and can’t push a vacuum cleaner. Love ❤️ the Shark ion Robot however it has a mind of its own and sometimes clean a particular area over and over again. I still am very happy 😃 with it. Had to return the 1sf one we bought because it had a bad sensor. I love it, but you really have to stay on top of keeping the sensors clean, otherwise it is stop and go. 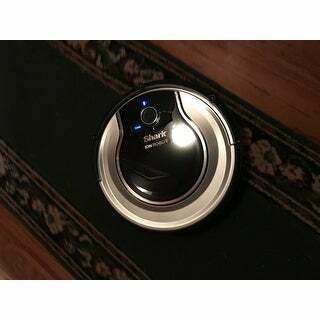 I love this robot vacuum cleaner!! I just follow it around my house watching it work. I would definitely recommend this Shark Ion 720 vacuum, you will not be disappointed. The remote control is wonderful also! I haven't sat a time for it to start cleaning because l enjoy watching it!! You Will Too! Easy to use and great to have clean floors with no work. I would recommend this vAcuum! I’m so happy. This arrived today and I was just happy to open it and see my new robot vacuum. It looks really sharp. I have it charging now and haven’t had it clean yet. I’m just already so happy with it I had to leave a review. I’ll update my review in a month or so to comment on performance. I didn’t go and see it in the store, I just did online research. I also bought the shark powered lift away duo clean from overstock at the same time and they both arrived quickly and in brand new condition. I’m so excited to see how they perform. Update I’ve had this for a couple weeks now and I love it. I run it twice a day everyday and the air in my house even seems cleaner. I don’t know how I lived without it. The dustbin is easy to empty everyday. The front roller is also easy to remove and clean. It’s a great vacuum. I’m only sad I didn’t get it sooner. After years of wishing for the Roomba I gave in and got this one. We have about 1500 sq feet of tile and area rugs and it does a great job on the floors and “okay” on the area rugs. I never have to sweep so that is great but still have to separately vacuum the area rugs. We do have three dogs in the house and it does a great job of cleaning up the pet hair. It hasn’t gotten stuck or malfunctioned at all. Over all it is great. The only complaint is that the dust and dirt holder on it is very small and if you have a larger home you will have to empty it between cycles. We run it a couple times a week. I got this for wife, because we have tile floors and 2 dogs. This has done a very good job on keeping the hair up off the floors and that make her happy. Love the robot vacuum It goes everywhere quietly. We hardly know it's running. Picks up dog hair efficiently. Keeps our home spotless! So far we are super happy with this Vacuum! We leave it downstairs during the day and move it upstairs at night. Eventually want a second to leave one on each floor! I don’t know how I lived without this for so long! Keeps my floors tidy, with little effort. It does get stuck occasionally and cries for help, but it’s worth the effort to rescue it occasionally. I had a iRobot and was having problems with it. Decided to try the shark and love it. Very quiet and picks up very well. Would recomment this product. It is a fabulous little machine. But I had to return it because of the layout of my house and different flooring adjoning from different rooms and door ways. Yes. I would still recommend it it to a friend. "Will this product clean short-shag carpets, and transition well from tile to carpet??" I don't know, I haven't used it yet. "Does it reach well into corners? Such as kitchen cabinets 90s?" "Can it transition from wood flooring to tile over a small transition strip?" "Does it clean wood floors well? " "What’s the warranty it comes with? For those who have bought the vacuum... is the extra warranty needed? "